We can support all kinds of license frame,we can make different colors with any printing you required,we can assure good quality and most competitive price. 1.Material:steel,Zinc alloy, ABS, aluminum ,stainless iron etc. 4. 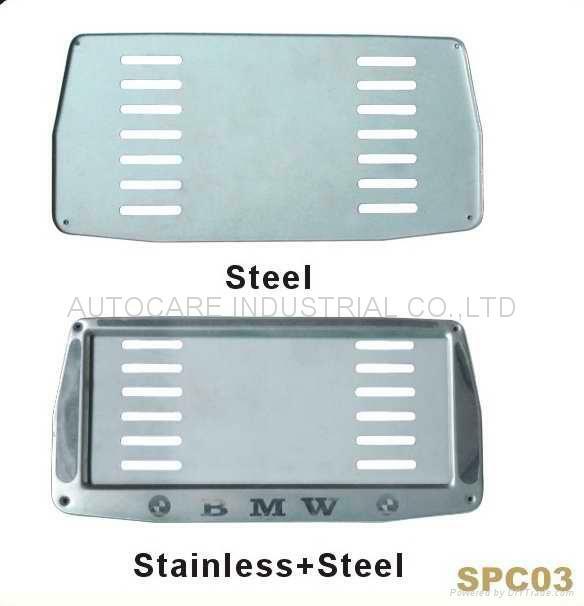 The license frame we supply is mainly in USA and Europe standard. 6. Surface :chrome ,nickel, silk screen printing, vacuumplating etc. 7. Packing: hot melt gule,plastic film, bubble film etc. 8. A real 100% manufacturer with complete managerment and quality control.